Never ever though that my 1st time (SolidWorks 2012) gave to a mouse, in less than 5 minutes. SolidWorks surfacing just get better and better. It just a screenshoot with photoview 360 integrated preview. Any change of orientation will instantly update with realistic preview. 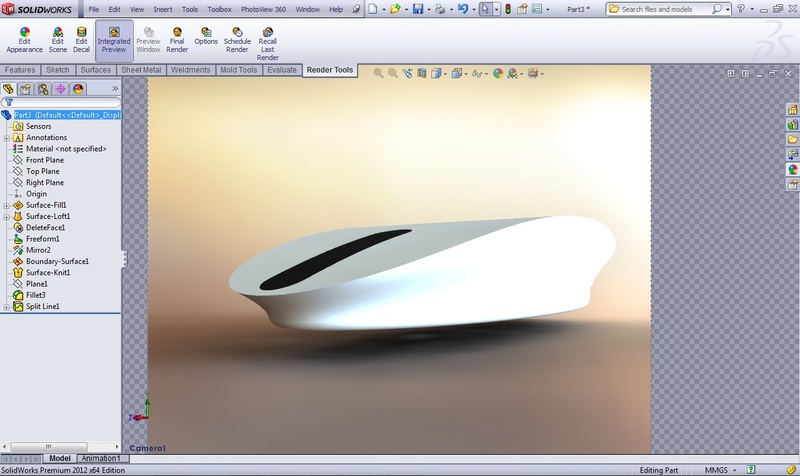 It's nothing new in SolidWorks 2012 but it fun to share this, in case you don't know that we have this 'cool' feature.